This entry was posted on April 29, 2018 by Y Hasegawa. 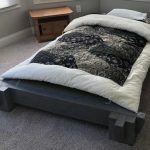 In this post we will explore another option for your futon known as the tatami bed. 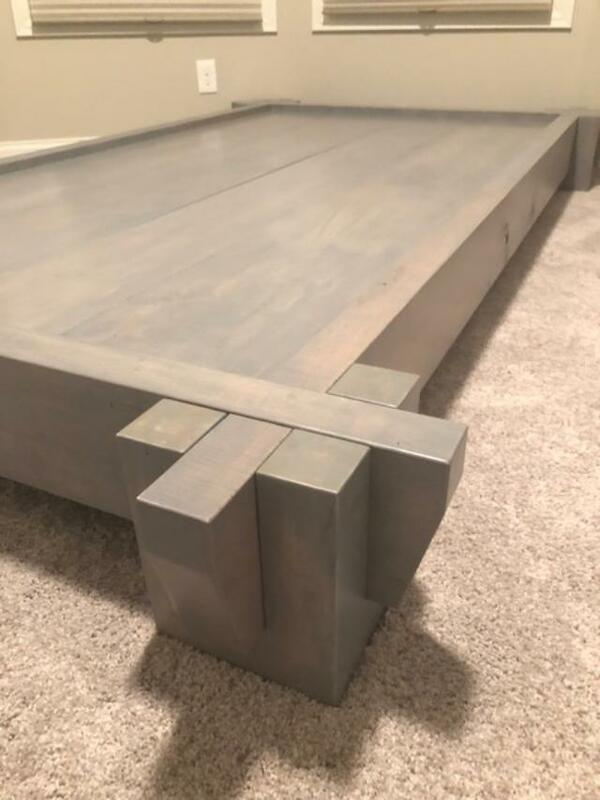 Although it is more typical here in Japan for futon to be placed on the tatami mat floor, there is another option that is not so uncommon either known as the tatami bed. Tatami beds are platform bed-frames that are designed to have a tatami mat inserted on the top. The advantage, of course, is that they’re higher up and easier to get in and out of. 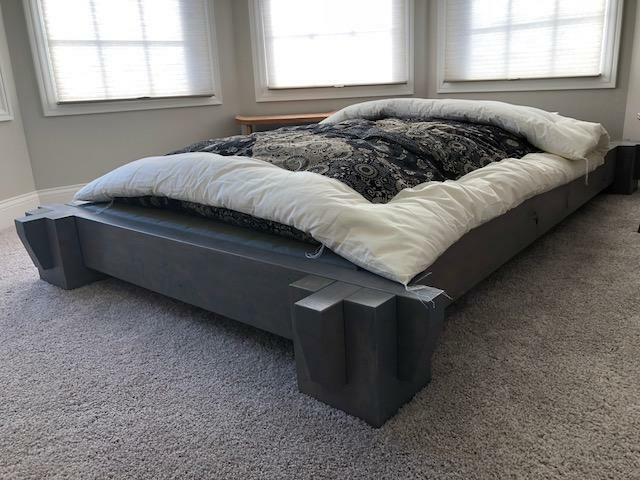 Also, there is an aesthetic aspect to having a bed-frame that some prefer. The obvious disadvantage is that you can’t use the space for multiple uses. Unlike just the futon, the tatami bed can’t be folded up and placed in the closet every morning. For some, such as those living in small studio apartments, this is this is a very key feature. However, for others this isn’t an important consideration at all. Please check out the amazing pictures below and you’ll see what we mean. 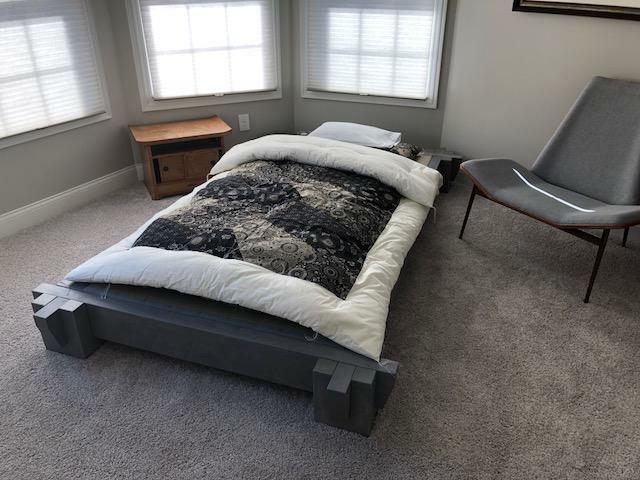 If you would like to have one of these fantastic tatami beds for yourself, please contact us here and we will provide you with Greg’s information so that you can contact him for more information and a quote. 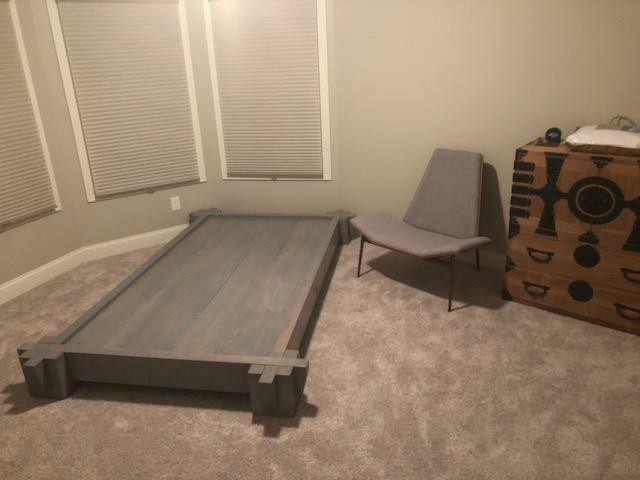 We've also inclosed a picture of a platform bed that Greg has made as well. 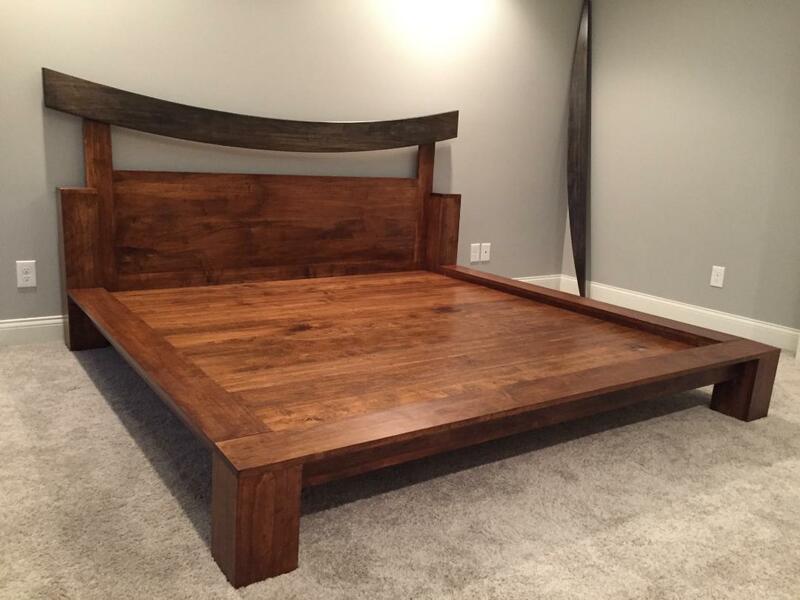 Both styles of bed frame are amazing. Tatami Bed without the tatami. Notice the recessed frame that holds the tatami mat in place. 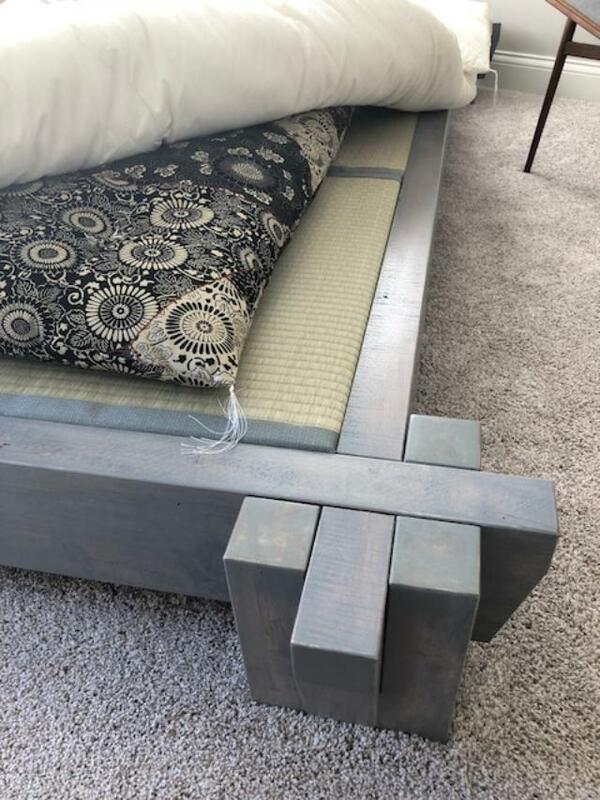 Tatami Bed Frame Corner. As you can see the design is simple, looks great but is also very strong. Note the tatami mat in place.